The recommended data structure within ArcGIS to manage and process imagery is the mosaic dataset. A mosaic structure enables significant big data capabilities for large, even massive, image collections. Each mosaic is composed of a number of related raster datasets, enabling you to keep your original individual image files on disk and to access them as part of a larger, integrated single collection. Mosaics are used to create a continuous image surface across large areas. For example, among other scenarios, you can use mosaics to handle coverage of very high-resolution image files for an entire continent. Or you can manage an entire historical map series for a nation for every year and every map scale. 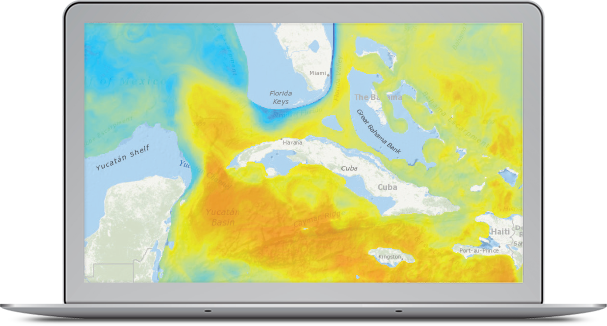 You can even manage huge multidimensional collections of time series information for earth observations and climate forecast modeling (often referred to as 4D). Creating mosaics is straightforward. You can point to a series of source georeferenced image files and automatically assemble a mosaic in minutes where each image acts as a tile within the collection. 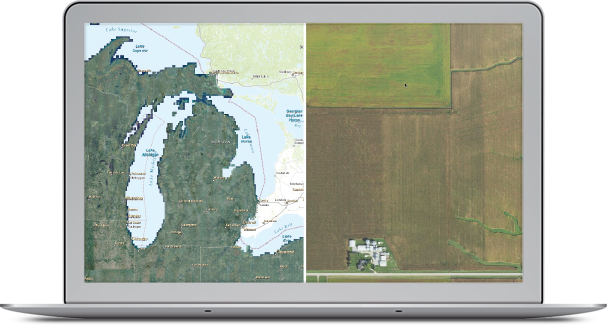 On the left is a mosaic overview for areas around Michigan, Illinois, and Wisconsin; a rural view of farms is on the right. This mosaic dataset by the National Agriculture Imagery Program (NAIP) contains well over 400,000 individual image tiles and covers the continental US. It includes the full information across multiple bands for each NAIP image as well as overviews for working with imagery at multiple scales. 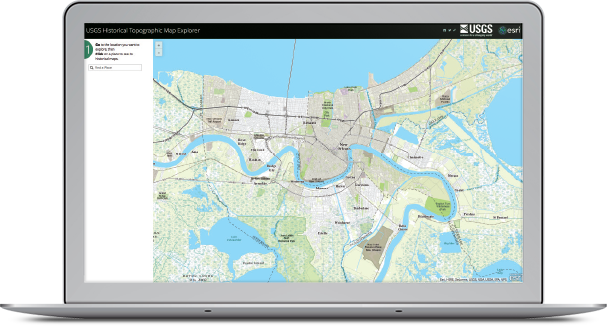 Image mosaics can also be made up of scanned historical maps, like the Historical Topographic Map Explorer containing 175,000 historic USGS maps accessible as an image mosaic in ArcGIS Online. You can also georeference your own historic maps and early aerial photographs and assemble them into mosaics. Multidimensional data is captured by location, by ocean depth, and by date. Earth scientists often refer to this data as 4D because it represents location in three dimensions with time as the extra dimension. Mosaic datasets help to manage and apply multidimensional data.